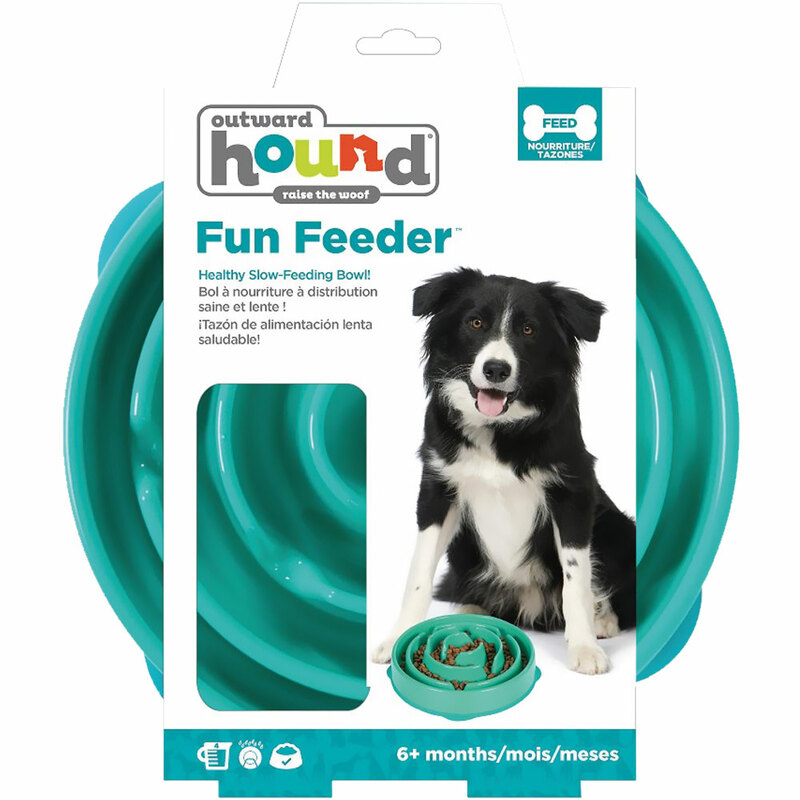 Outward Hound Fun Feeder is the perfect way to regulate the pace at which your dog eats his meals. Every dog loves meal time and sometimes they can enjoy it a bit too much. 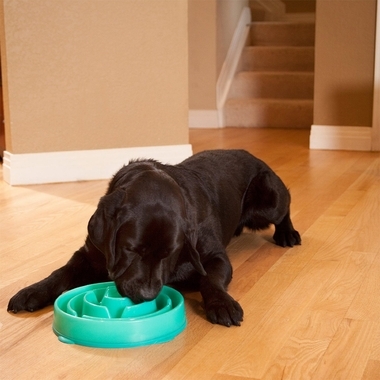 For pooches that eat their food too quickly, a hearty meal can be rapidly regurgitated or can otherwise lead to obesity. For these dogs, a uniquely shaped bowl can force your dog to eat slower and prevent these ill effects. 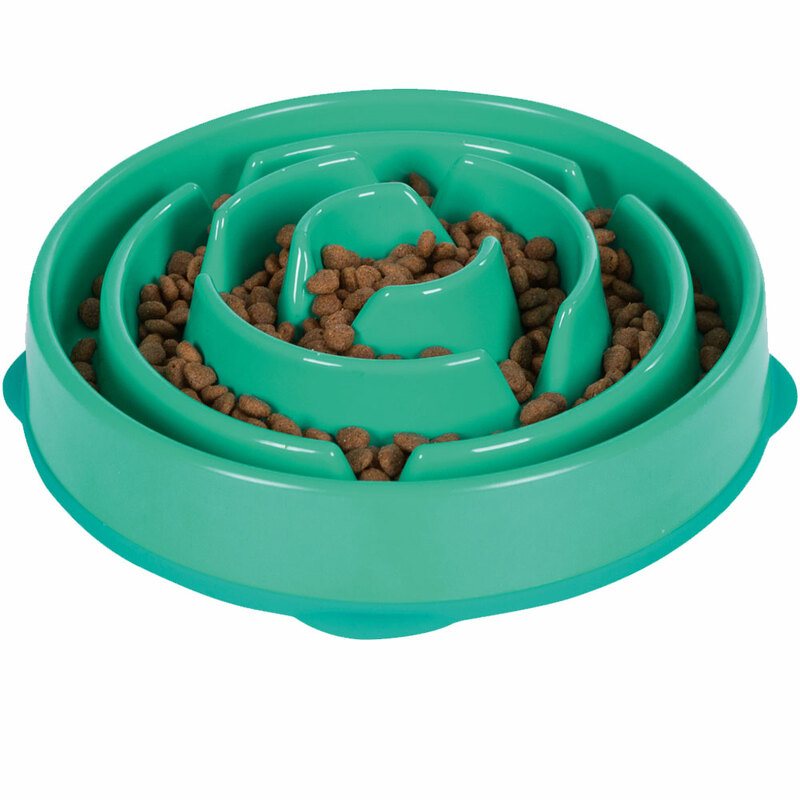 Outward Hound Fun Feeder Mini features a coral design that impedes your dog's ability to gulp down kibble. This bowl comes in an orange color and a miniature size that is perfect for smaller dogs. 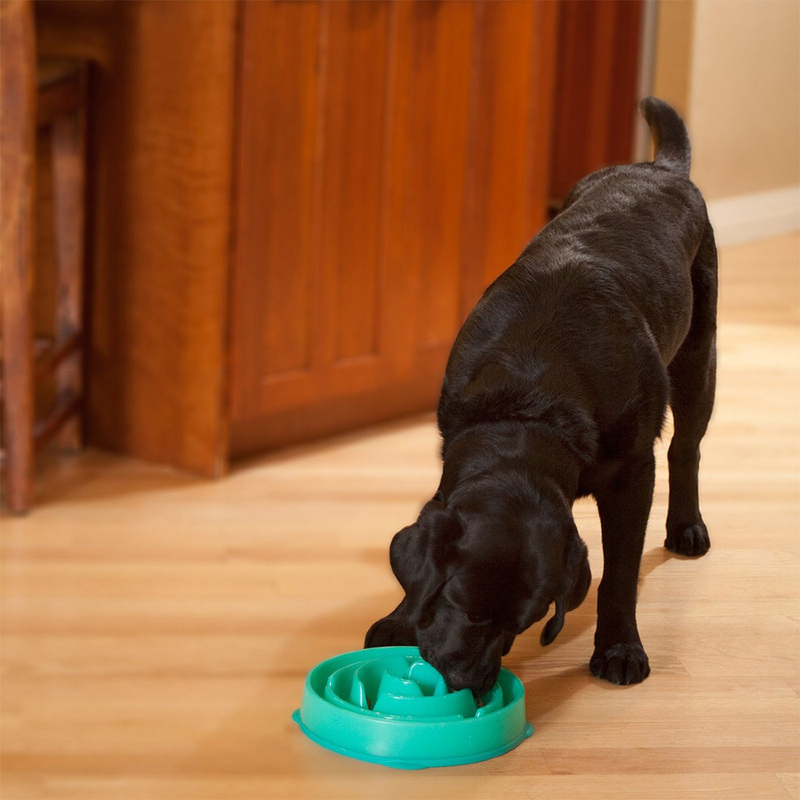 Feed your dog the healthy way with the slow bowl mini- order today! It took my dog about 2 days to really get used to the slo-bowl. Now she is comfortable with it and it takes her at least 3 times longer to eat. Sally was a stray, literally living on the streets and scavengering for whatever she could find to eat, not knowing when she would eat again! She will never get over that and the slo-bowl is making a huge difference. Her stomach seems to be better, as it does not "rumble" the way it used to (rumbling/growling in a dog's stomach is not normal according to our Vet). We are extremely happy wit the Slo-bowl and the price!! ConsCan't think of one thing!! I have 2 Shepard mixes and they both had the slow fast feed bowls... The ones with lumps in them to slow their eating. With these bowls they could still eat about a cup and a half in about 90 seconds. (it was a race to the finish) I purchased these new bowls and it increased the time for them to finish about 7 minutes. These are great, stylish, and serve their purpose 100%. ProsEverything about them, style, finish, cleaning, eating time frame, size.